KLRN Public Television is pleased to announce a generous gift from the McCombs Family Foundation. The multi-year grant provides vital infrastructure funding to support the station’s digital upgrades. KLRN celebrated the unveiling of the Charline McCombs Media Center on Wednesday, April 5 during an official dedication attended by Mayor Ivy Taylor, Judge Nelson Wolff, TXDOT Commissioner Bruce Bugg, CPS Energy President and CEO Paula Gold-Williams, the McCombs family, and numerous community leaders. The Media Center recognizes Charline McCombs and her numerous contribution to the arts. 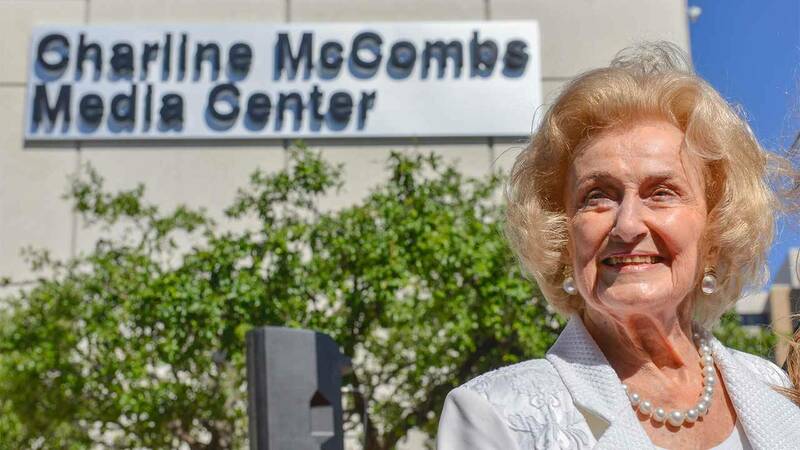 “All community projects Charline and I do have always had the support of the McCombs family, and this grant from the McCombs Family Foundation will ensure that our own public television station continues to operate with excellence,” said Red McCombs. This grant will be used as a challenge to launch a $1.5 million campaign to raise funds for new studio technology and broadcast equipment. KLRN is currently seeking the remaining funds for this campaign to complete the upgrade. Increasing demand for the studio, both internally and from outside contractors, necessitates that KLRN maintain equipment that is up-to-date. Renovations and equipment acquisition will enable the station to pursue additional production contracts, ensuring that KLRN remains a valuable resource in the community. The renovations and upgrades being made to the new Charline McCombs Media Center will help KLRN continue its outreach activities, address community needs, and be seen as a leading production resource for education, arts, culture, news, and public affairs. To contribute to this campaign, please contact Cynthia Shields at 210.208.8439.